One of our favorite weekend destinations of 2017 also happened to be one that most people I know hadn’t even heard of. Lake Garda of course is very well-known, its existence on this planet first took place 1.5 million years ago formed as a glacier off the side of a mountain, later a former stronghold of the Roman empire, followed by to its villages battled by the passionate Lombard people, Franks, Spaniards and Austrians. 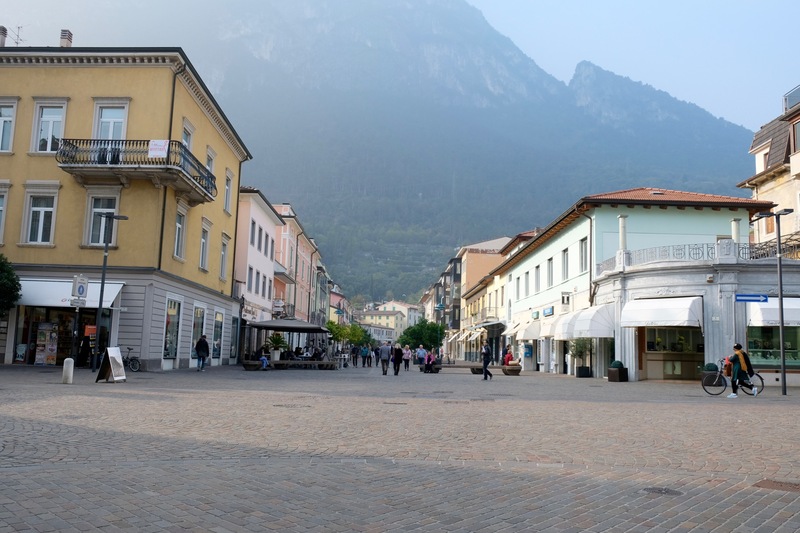 Riva del Garda is in the very northernness part of the lake, a strategic location throughout history due to its trade position from the lake to the Alps nearby. Being on the border of the Austria-Hungary empire, there are still defense fortifications (tunnels, barracks, trenches) visible in the area today from the first great world war, in fact you can even embark on a WWI walking itinerary for those who are history buffs like me. Nowadays its cluster of small villages boast colorful facades and remains a quiet yet stoic travel destination, especially in the shoulder seasons such as late October when we decided to visit. Personally, I found it the perfect perch to discover the nearby towns of Torbole and Arco, and vineyards deeper into the Trentino area. Essentially for us, it was heaven on earth, if only for 48 blissful hours. Since Nico’s birthday was in late October, it was the perfect time for an “out of high season” getaway and I felt like we made a great choice, even if locals kept apologizing for the foggy, mysterious weather. 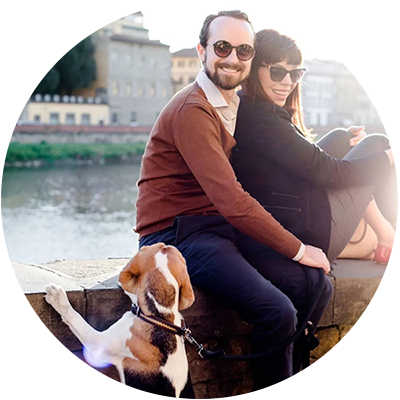 For me though, that was even more ideal, we get enough sunny weather in Florence for me to embrace a romantic mist for a few days or so. 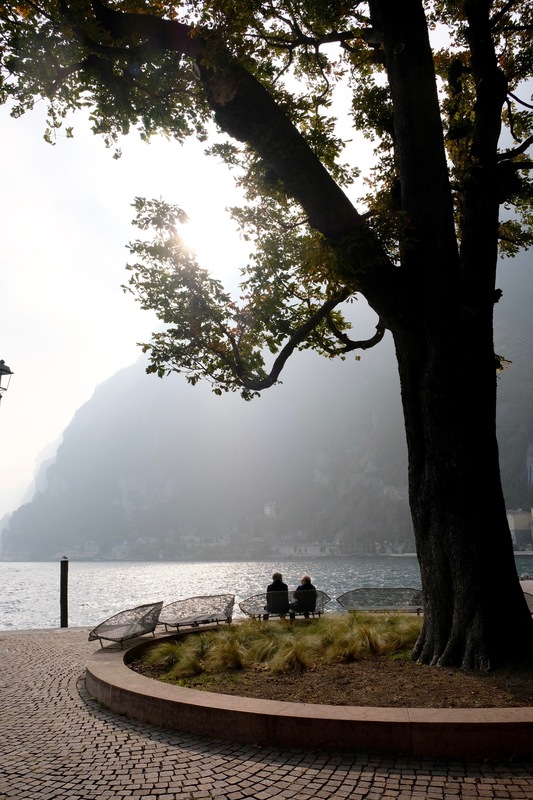 All in all, Riva del Garda and the Garda Trentino area in general has all of the elements for a perfect Italian holiday: plenty of time to relax, family-friendly and great for couples, adventurous, historic towns, notable cuisine, picturesque landscapes, friendly people. Naturally this area of the lake is really aimed at those who enjoy an active holiday, namely biking, water sports, hiking trails and attracts a fair amount of German-Speaking visitors though for less sporty people (like myself) we dedicated our visit more to long walks, market visits and really dived into the eclectic food culture that deserves to be celebrated. 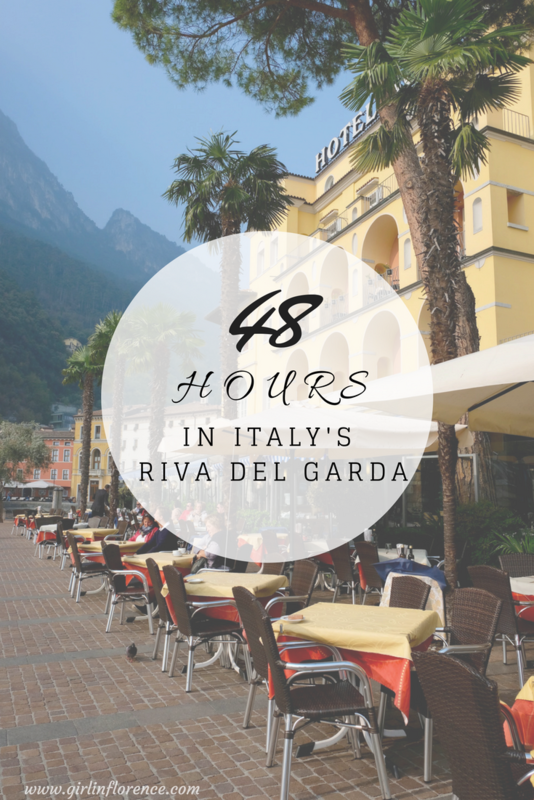 Riva del Garda is a three and a half hour to four hour drive (about 300 kilometers) from the city of Florence along the A22/E35/E45 passing by Bologna and Modena (which sub sequentially, would make for great stops along the way, both are lovely towns!). 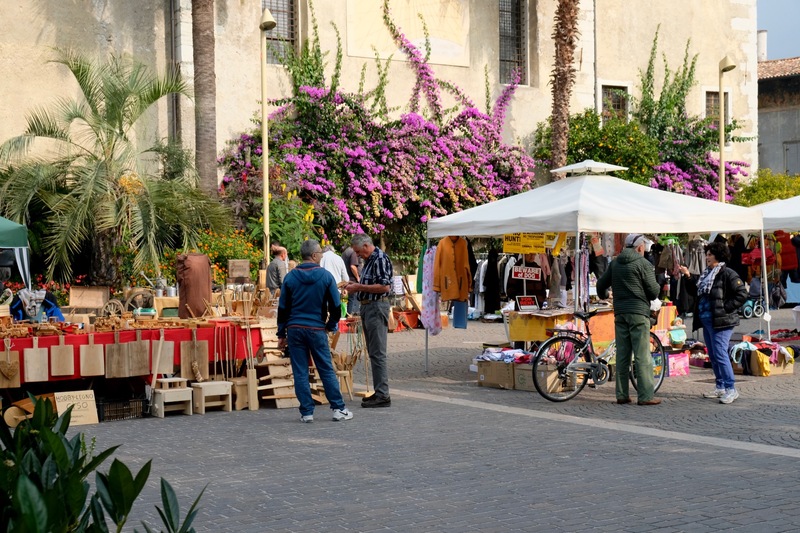 If you are traveling from Milan you can expect about half that commute as it is only 177 kilometers away, otherwise Verona is an easy 86 kilometer drive and is often a popular stop for those visiting Lake Garda. The closest airport is Gabriele D’Annunzio Airport (76km) followed by the Verona (91km) and Bolzano airports (104km). Interested in arriving by train? It is possible, though I might recommend renting a car for at least a day so you can discover some of the places only reachable by car in this post. The nearest railway station is Rovereto (on the Brennero line), 20 kilometers from Riva del Garda. There is a Trentino Trasporti bus service that connects Rovereto to Torbole, Riva and Arco. 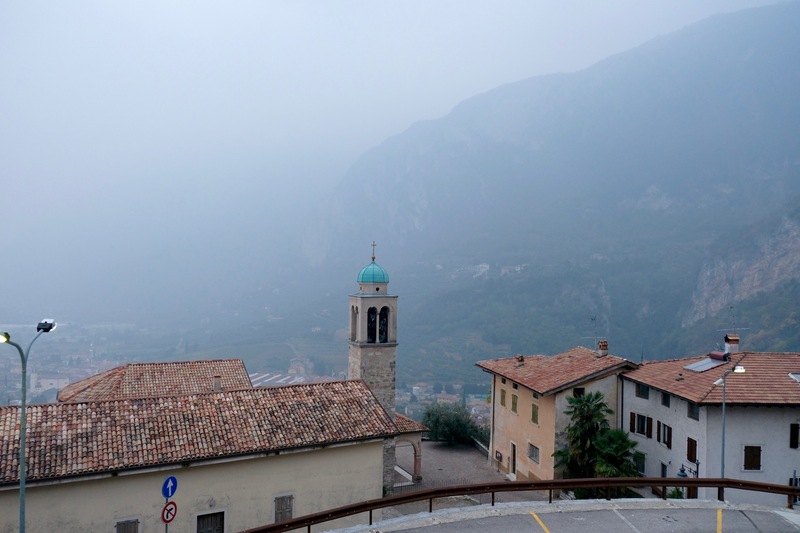 We set off to Riva del Garda quite early in the morning, Nico took the day off, as the drive is a long one. You can expect to spend at least 5 hours driving as Lago di Garda is a vast, vast beast. I suggest stocking up with a good book and plenty of interesting crap from your nearest auto grill (essentially an Italian truck stop). 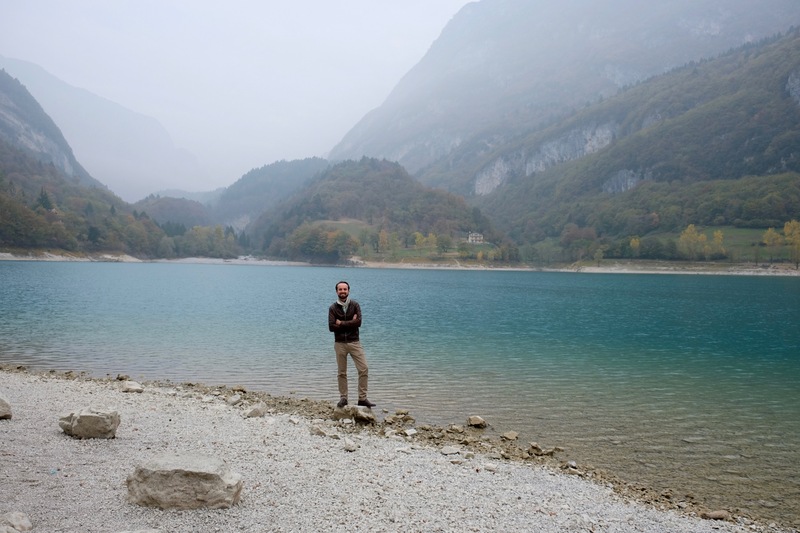 Upon arrival before checking into our hotel, we headed to meet our Trentino go-to point person. I often partner with local tourism boards when visiting a new city in Italy and Daniele was the kind soul who made this trip happen for us. 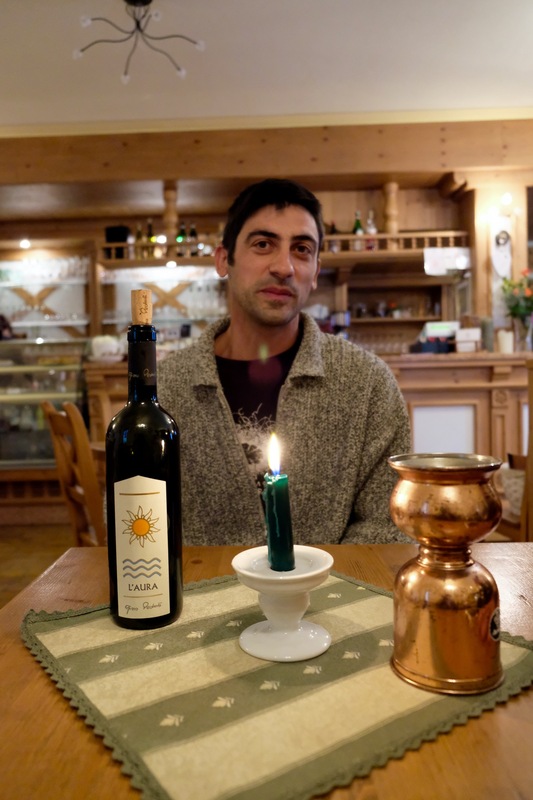 We met at a cooperative gourmet collective/olive mill called Agririva on the outskirts of town. 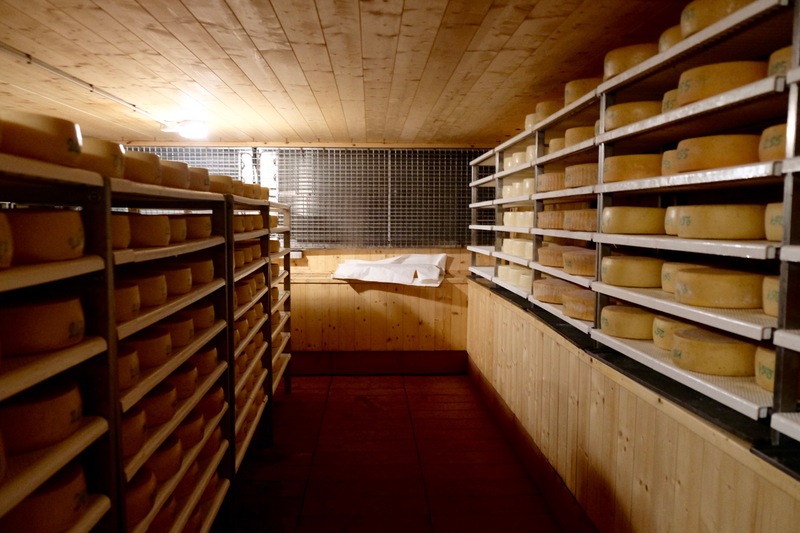 A sort of “eataly” but not a mass chain, 100% local and full of delicious Trentino specialities. I knew this was going to be a good idea the second I heard one of the ladies working there yelling at her daughter to open up a bottle of sparkling wine. It was 11am. Needless to say this is my kind of place. Laura, born and raised in Garda Trentino was our guide for the visit of the olive mill and wasted no time diving in with the details. “We have more than just a passion for oil, we really have a passion for the plant. Every single house in this area has an olive tree. It’s like we have something in our genetics that calls us to the olive tree” Laura said. Laura herself has at least four at her own home that are over 50 years of age and a few more, younger. Daniele, the Garda Trentino rep, has at least 40 at his house. I decided to not share that I managed to kill even a cactus at our house. Casaliva is the typical olive plant from this area and during this visit we tried a few different monocultivar versions and interesting blend produced in-house, along with a nice selection of wines from the area, like the refreshing Trentino DOC Nosiola and Bollicine (bubbles) Trento DOC Metodo Classico – Brezza Riva. I loved them all and going back to the oil, especially a spicy blend of extra virgin olive oil made not of infusion but instead of pepperoncino pressed and worked together with the olives. 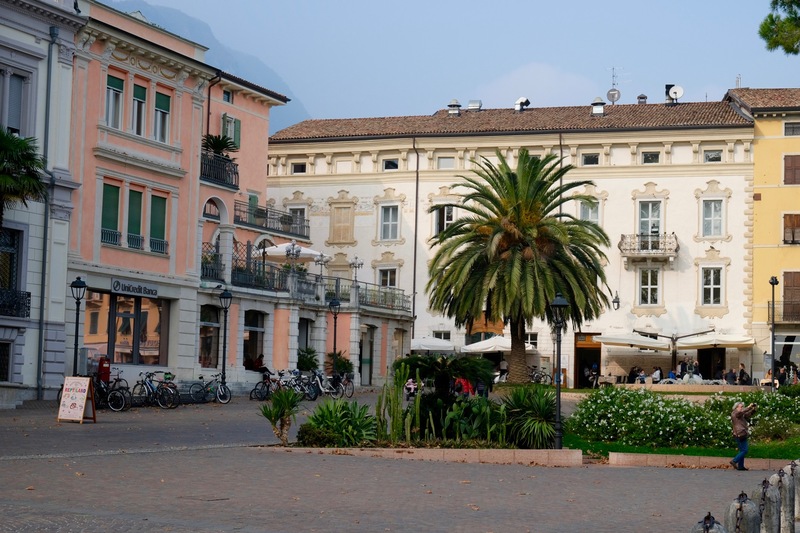 After our snack-turned-lunch we then left to check into Hotel Sole, in one of the Riva del Garda’s prime positions facing the lake in Piazza III Novembre. I could best describe this hotel as pleasantly luxurious not overly fancy, it reminds me of many of the four star hotels I’ve stayed in that have a much “older” feel but once you book a balcony, lake-side view all of that simply goes out of the window. 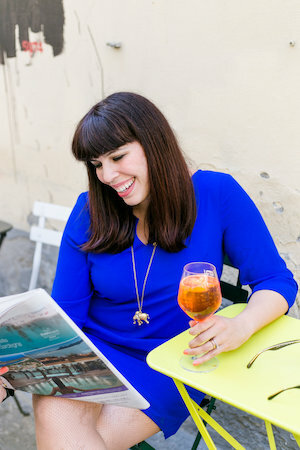 I have such wonderful memories from popping open that complimentary bottle of prosecco and toasting to this wonderful weekend with Nico. 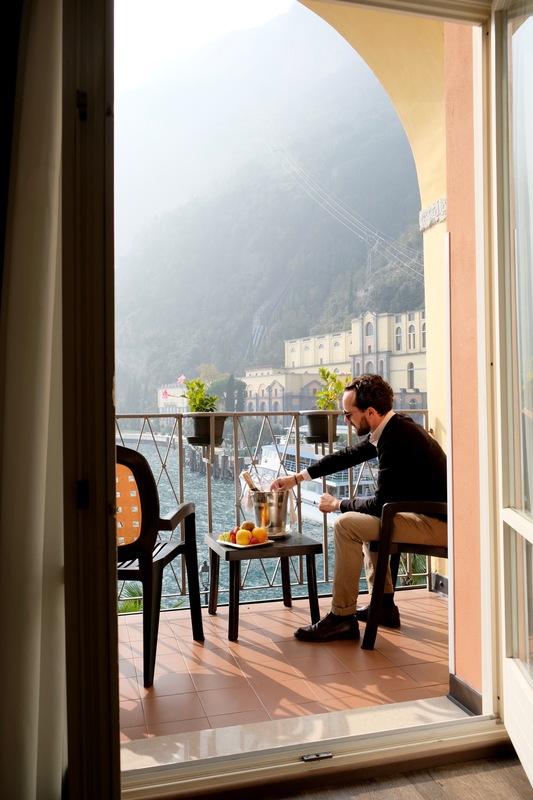 It’s safe to say that if you stay here, ask to stay in one of these balcony lake-facing rooms. I could have lived, slept and run my business from that balcony. 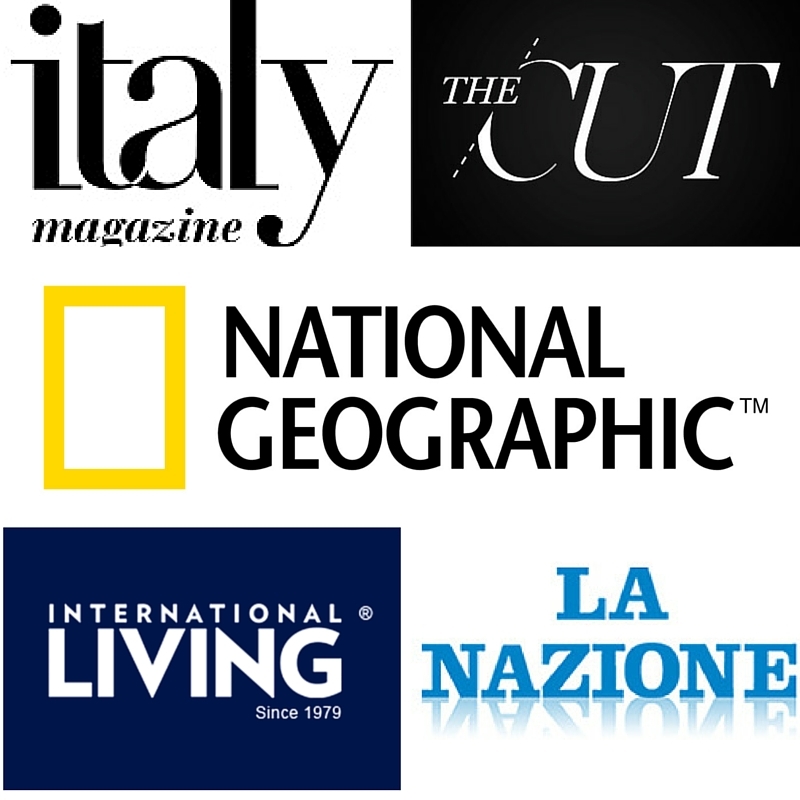 “Oh you want to make an appointment with Italy Magazine’s editor? She’s currently in a three-day-old robe eating sliced kiwis, editing articles and implementing them into the database, please call back later.” Magari. Around 4pm, this girl needs a coffee, or maybe two if I’m writing that day. Shh don’t tell Nico. 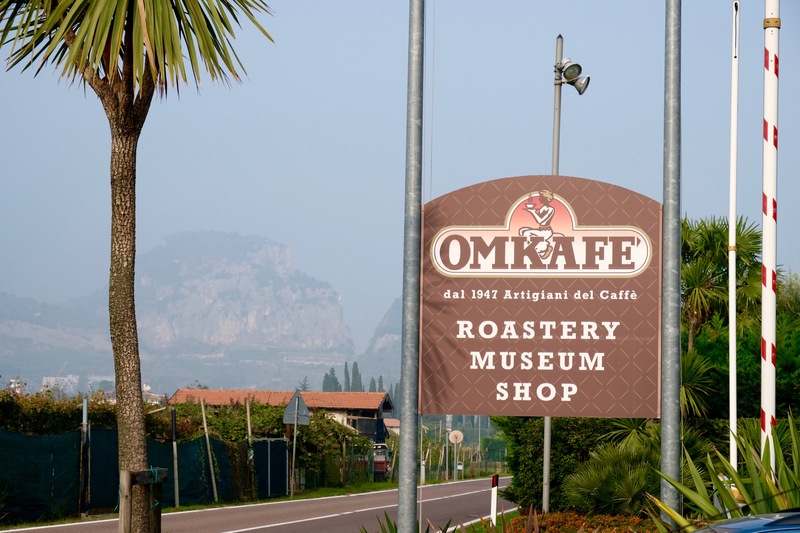 Heading to a place that specializes in quality coffee was just what the doctor ordered which is why after checking in and getting our bearings in Riva we hopped back in the car for a 10 minute drive to visit OmKafè. 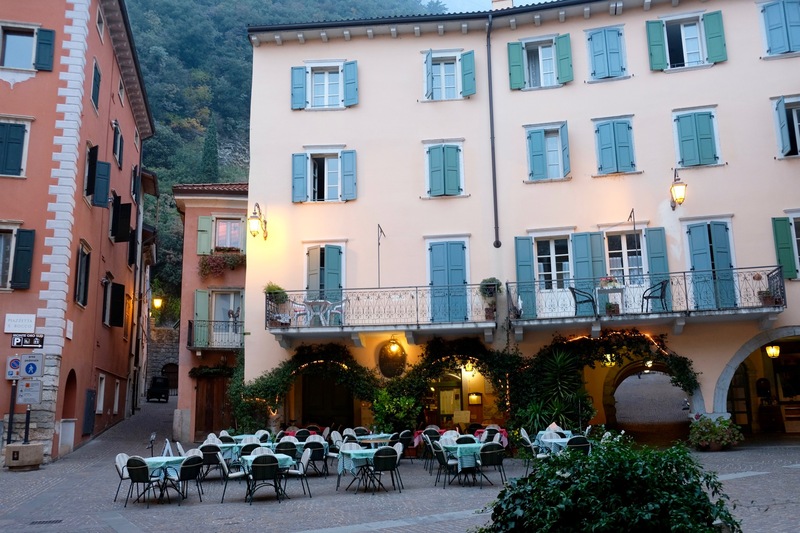 Originally started as a casa di caffe “house of coffee” in downtown Riva del Garda by Ottorino Martinelli and his wife Maria, Ottorino hand-selected and roasted his own blends in the tiny backroom and delivered his coffee by bicycle to nearby businesses. 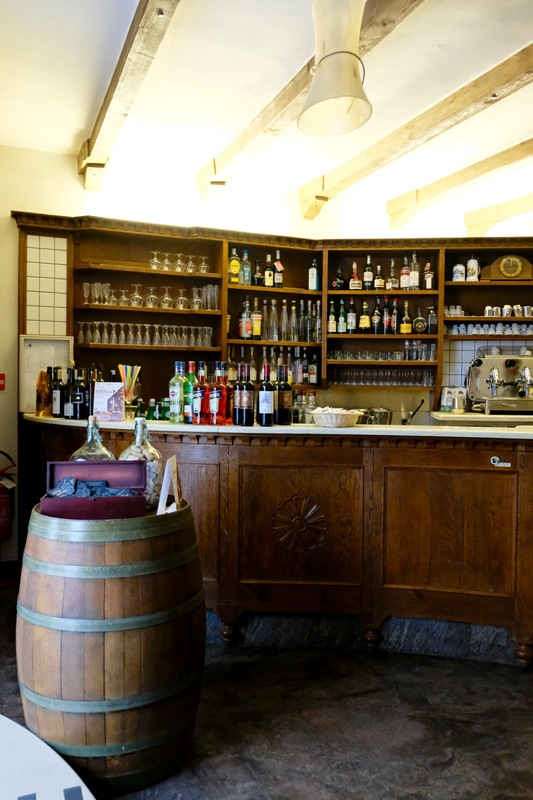 Now the orginal location has turned into a bar while the main headquarters is located in Arco. Now the business can boast over 60 years of experience with each generation adding their own unique mark (like organic versions) to the brand though they are very selective in the beans they choose. No coffee bean is the same and even if it comes every year from the same plantation, harvests may differ which is why their work must remain a selective one as harvests differ. 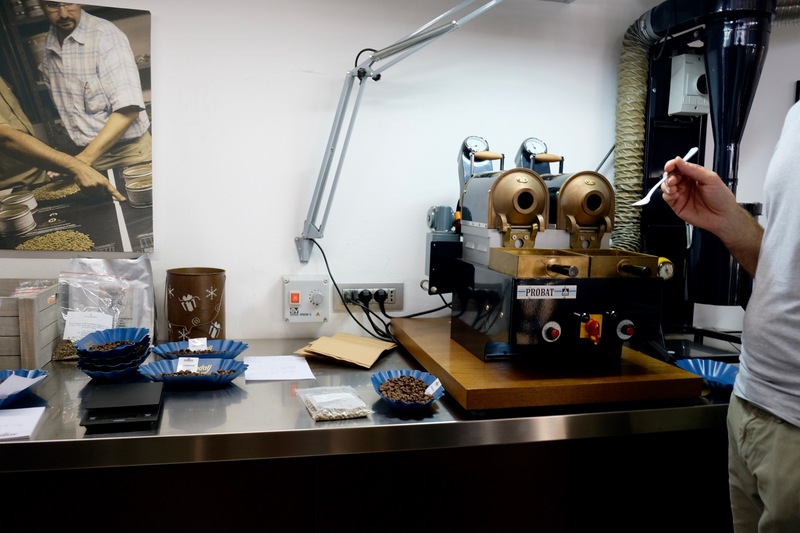 We watched as they carefully put spoonfuls of coffee beans in a tiny toaster, then used to test the samples they get from abroad before they toast en masse upstairs. The toasting method of the beans is a rather long one, each recipe meticulously recorded and the beans toast at least 20 minutes in total before cooling down and resting (at least a week) before being sold to the public. 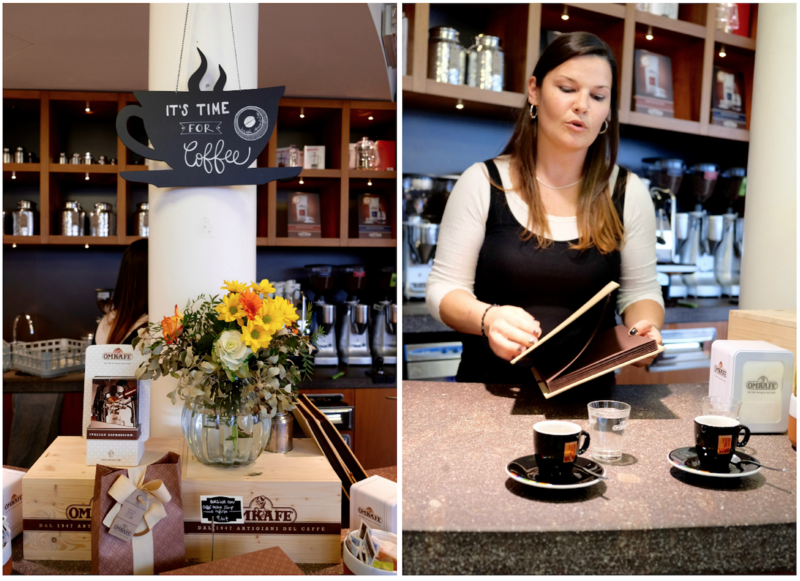 Serena, their marketing guru, was kind enough to give us a tour of their production (pictured below) and yes there was a lovely, lovely smell of coffee wafting throughout the entire building. 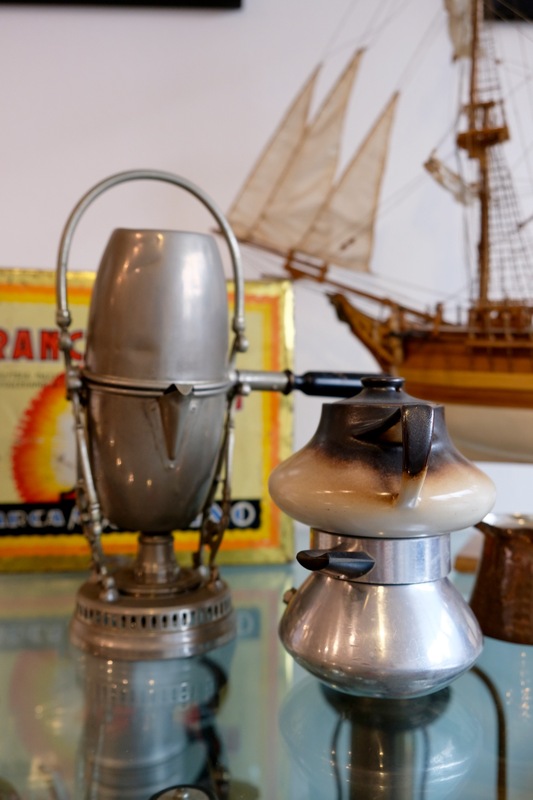 After, we stopped at the small museum to gaze at 19th century era coffee-makers and family photographs. The perfect pretext before heading downstairs for a cup of coffee (finally) and truly appreciate all that goes into one, tiny, cup. I could have spend hours browsing the attractive confections in the treasure-trove of a gift shop, home to their excellent coffee and chocolate, cookies, spreadable coffee-like nutella which might just be a mild form of crack cocaine (jk). Of course you should take some home with you, we sadly only brought back one coffee tin which was finished before the 31st of January to my great displeasure. If you read this OmKafè, we’re desperate! 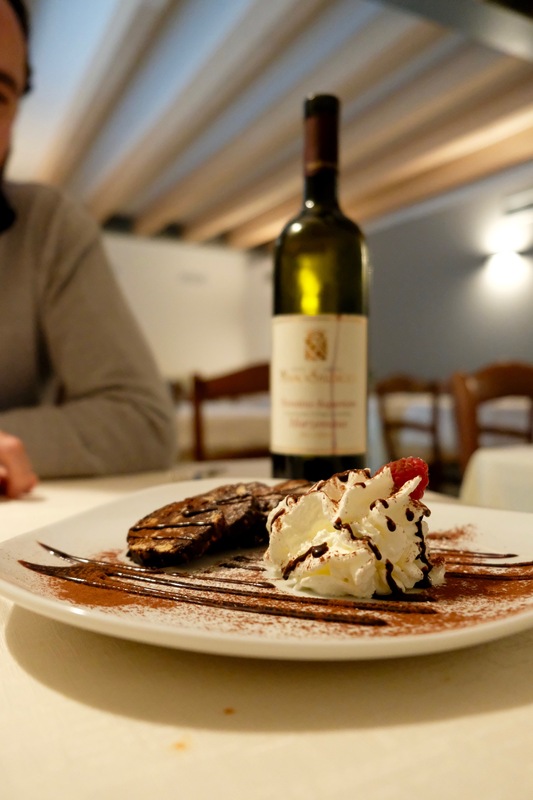 6pm Visit and Dinner at Acetaia del Balsamic Trentino. Next stop was on the hills of Cologna di Tenno, a modern farm turned restaurant and bed and breakfast with a stunning view over the North garda valley below, called Acetaia. This is one hell of a place. Why? 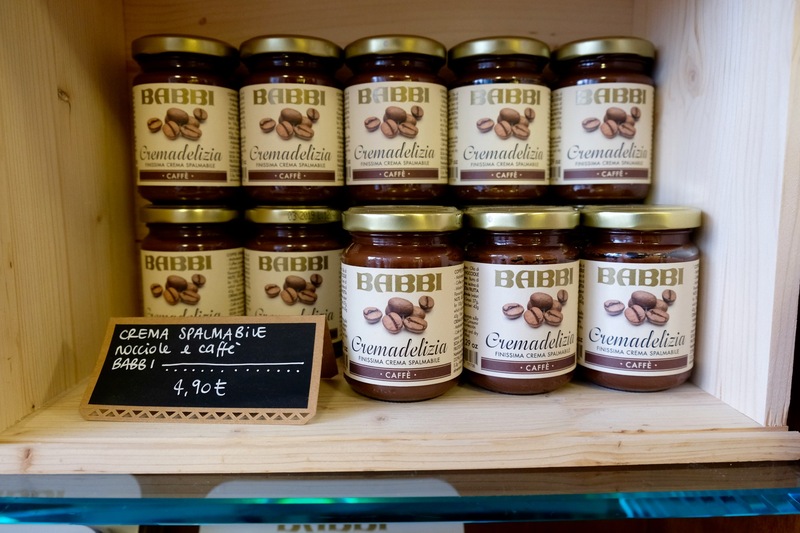 Well it is, among many other things, the only balsamic production plant in Trentino and they are a farm that produces about 80% of their own food: including wine, beef, salumi, cheese (tofino, bonomì and ricotta), balsamic vinegar and olive oil. 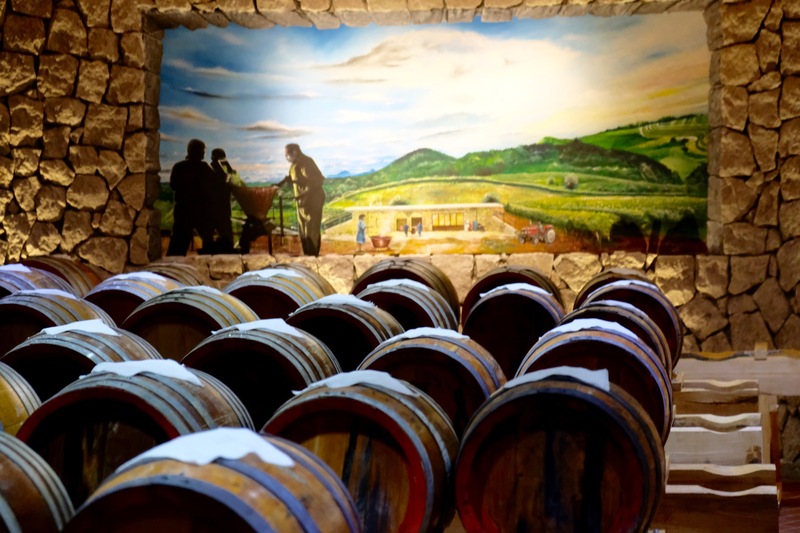 The balsamic vinegar is made in the traditional way, with local Gewürztraminer grapes aged in wooden barrels made with eight different woods (oak, mulberry, cherry, acacia, chestnut, ash, juniper, pear) and measured to scale. It is decanted and topped up once a year (for at least 11 years) with cooked grape changing barrel year after year. 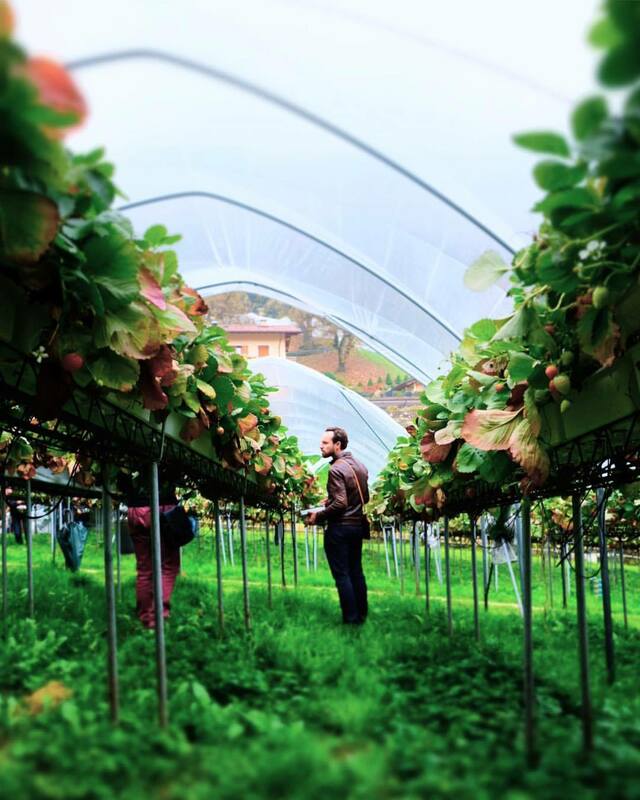 The farm also has two vineyards, has cheese made with locally produced quality milk, and is famous for their version of the traditional local dish “Carne Salada” (salted meat) using a treasured family recipe with roots that date back to the 1700’s. Considered a lean meat, rump steak is sprinkled with salt, a little pepper, a few cloves of garlic, bay leaves and juniper berries. After about 3 weeks it is ready to be eaten as either a carpaccio or cooked we tried both, and it was just as delicious as promised, especially when paired with pickled vegetables. After a great breakfast at Hotel Sole where my husband did not at all mind making a mockery of himself as the sole user of the very, very loud ancient juicer. As soon as everyone recovered from this brief, but intense noise pollution incident, we (eventually) had fresh juice with our morning meal. 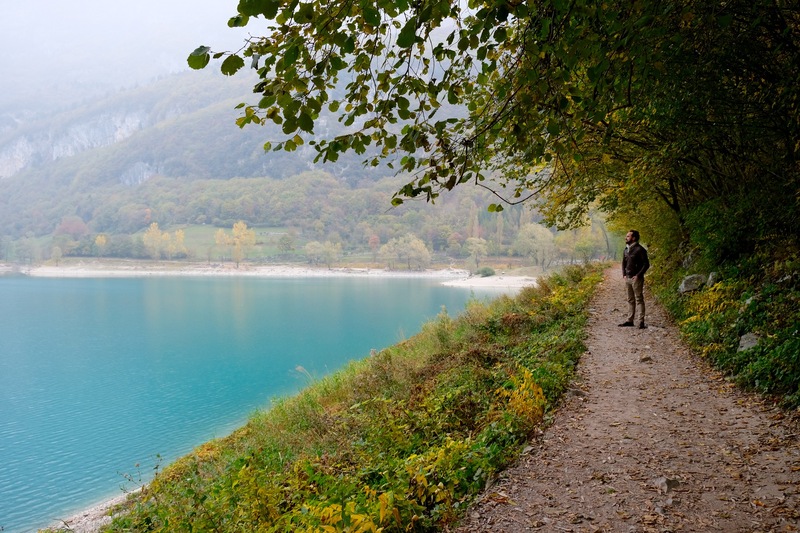 After breakfast the aim of the game was a walk along Lago di Tenno (Lake Tenno), an aquamarine dream set among a majestic dense forest with a thousand year history, it was originally created as the result a landslide that fell from Monte Misone. Once you park (the car ride was 40 minutes from Riva del Garda), there are clear signage to the steep(ish) medieval path that takes you to the lake. I can only discribe the place as an utter testament to tranquility and peace despite its violent beginnings. My recommendation is to give yourself an hour to walk around (there is a lovely path around the lake) towards a little island islet. Nearby you can also plan a visit to the small village of Frapporta, the medieval church of San Lorenzo and the San Martino archaeological site. 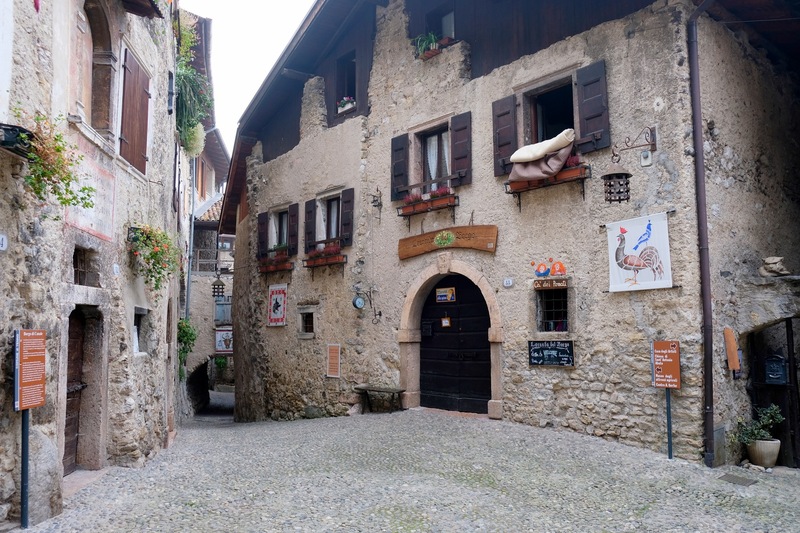 Located nearby to the lake (you can walk, it takes about an hour) is a beautifully-preserved 13th century medieval village entrenched on a mountain slope halfway Lake Garda and the Alps, Canale di Tenno. A lovely maze of tiny cobblestoned buildings and tight alleys, it was a place abandoned after WWII but underwent in a revival in the 60’s also thanks to initiatives such as the The Casa degli Artisti (Home of the Artists), dedicated to the artist Giacomo Vittone, a gallery and event space located in the center of town (here’s the website). 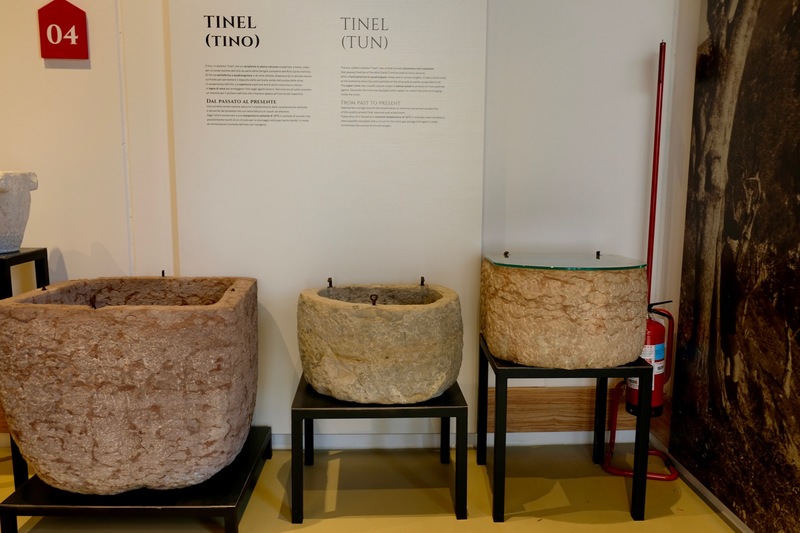 Additionally, there is a Museum of old farm tools, open during the summertime and the “Rural Middle Ages”, a folkloric and historical event with medieval games that takes place every August. Since I might have mentioned before that this is an area that is quite serious about extra-virgin olive oil. 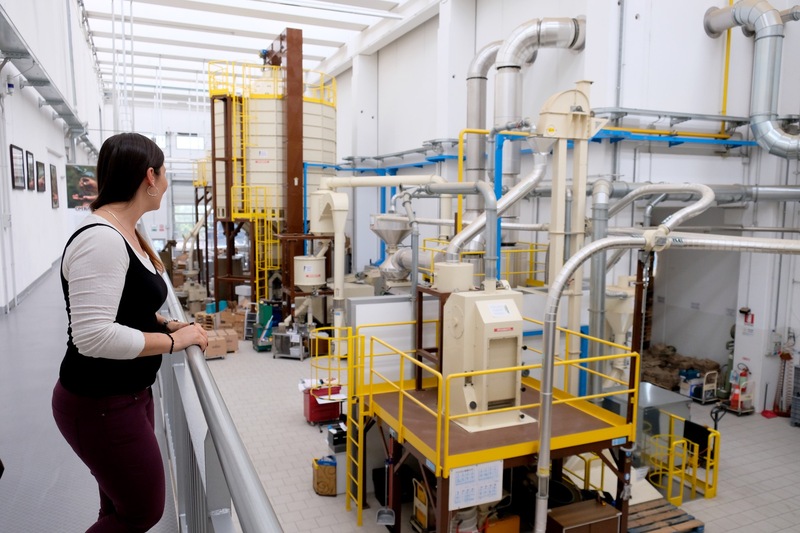 It made sense to stop by an olive mill in Arco, Olio Cru, that won the prestigious “three leaves” award for their monocultivar casaliva e LAB. This is their newly-opened location in a rather industrial area but don’t let that fool you, it is one of the chicest mills I’ve ever had the pleasure of seeing in person. They score bonus points for the very informative intro inside their shop on the specific microclimate and wind that allows for such quality of olives to be grown in this area complete with maps and detailed info on how their method of production has evolved over time. Besides this production point, you will find a special “Olio Cru Point” an Oleoteca that is the first of its kind in the central square of Arco (Piazza III Novembre) where you can try, taste and feel the emotion (you know how Italians love to accrue the emotiveness when it comes to food) of a fine product. If that wasn’t enough, I recently found out that one of my favorite chefs in Florence, Andrea Perini of the amazing restaurant Al 588 in Bagno di Ripoli is a fan of their oil too. 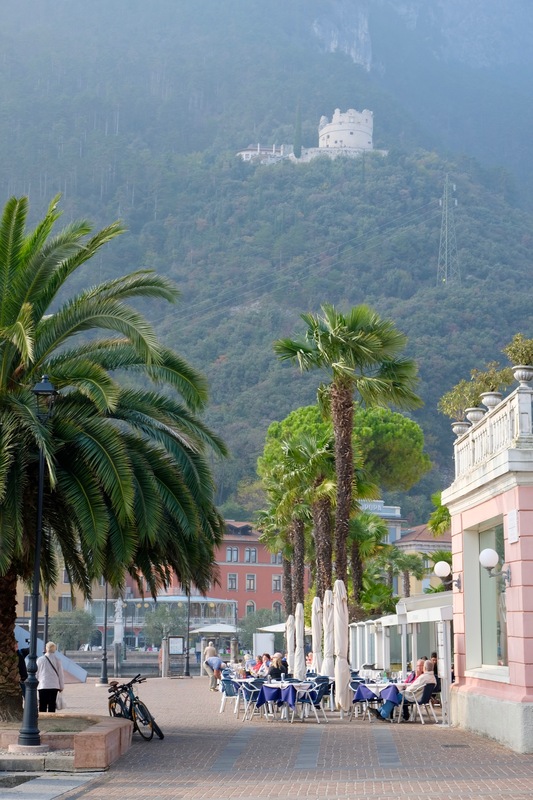 No visit to Riva del Garda would be complete without a stop at lovely Arco, a town with a beautiful castle (over 200 meters high) on the southern end of the Sarca River valley and once home to the winter residence of the Archduke Albert of Habsburg. It is as pretty a town you’ll find in the area as is known for its mild, mediterranean climate and interesting rock-face. It seemed to be a gathering place for those embarking on adventurous outdoor activities as I spotted a fair amount of bikers, hikers and sport-related shops in the center. This is THE place for those who free-climb rock faces. 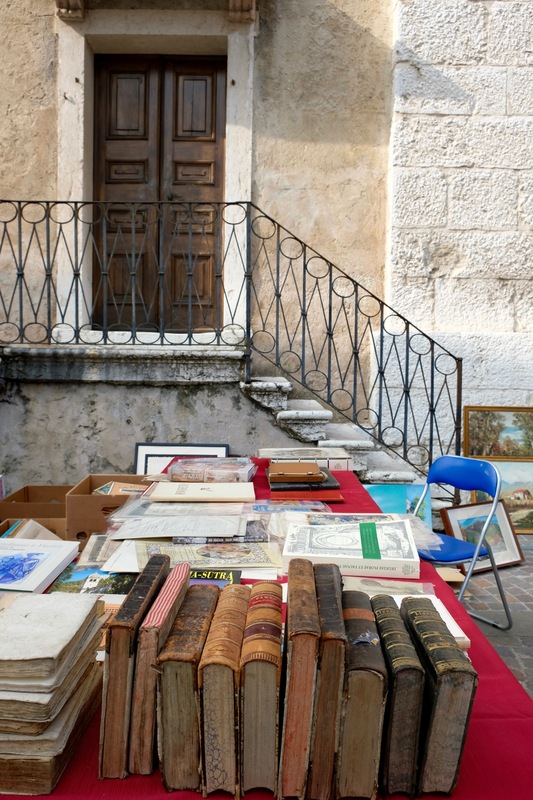 We got lucky in that when we visited the charming town of Arco it happened to be the third Saturday of the month when the “mercato delle public” or flea market was going on. This made for a lovely stool through the center of town where furniture, jewelry, ornate mirrors were set up and provided for a lovely atmosphere as we headed to lunch. 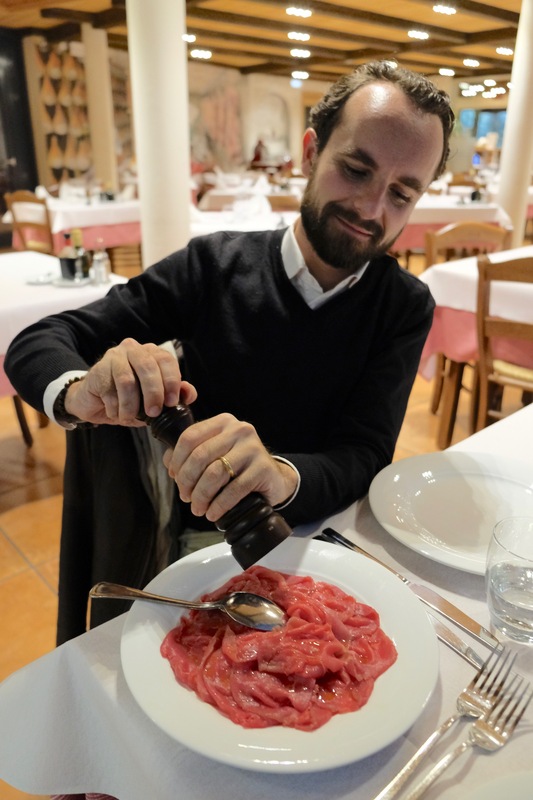 Ristorante alla Lega is one of those old-school restaurants that you can’t help but fall in love with. This is a place where laughter permeates each room and dishes pile up with local traditional favorites such as “l’orzet” alla trentina, “Strangolapreti” fused together with butter and sage, tagliatelle with a wild rabbit ragu, rabbit and venison with polenta and mushrooms, apple strudel and of course “carne salada.” I indulged in a lovely mussel starter and ended with the best chocolate salumi this girl has ever eaten. Afterwards, I highly suggest a but-gusting stroll through the city’s olive grove, or “olivaia” a collective project that brings together an impressive amount of olive trees along a steep path above the city. With any great weekend, you need time to rest, which is why never feel guilty for taking after-lunch naps (at least 30 minutes) to regenerate before part of of our day. Luckily this meant we could explore a little of Riva del Garda before heading to a new town along the lake for dinner. 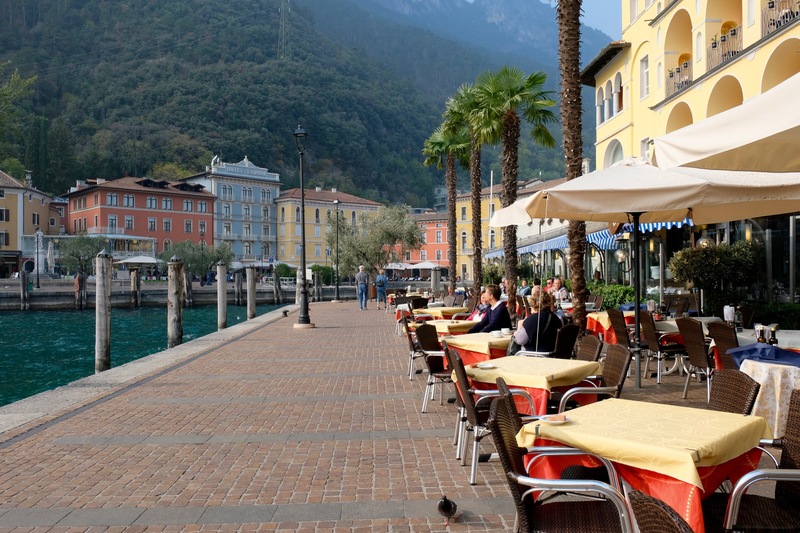 Riva del Garda, as small as it is, is definitely worth your time and effort. In our little square itself, Piazza III Novembre, is home to fourteenth century porticoes, small cafes and a 13h century clock tower (Apponale) you can climb for a panoramic view of the city. Besides the obvious walk around the center, you can visit the local civic museum in a lovely moated lakeshore fortress, otherwise known as the Rocca. Here you’ll find a general history of the city on several floors of the museum along with interesting temporary exhibits. 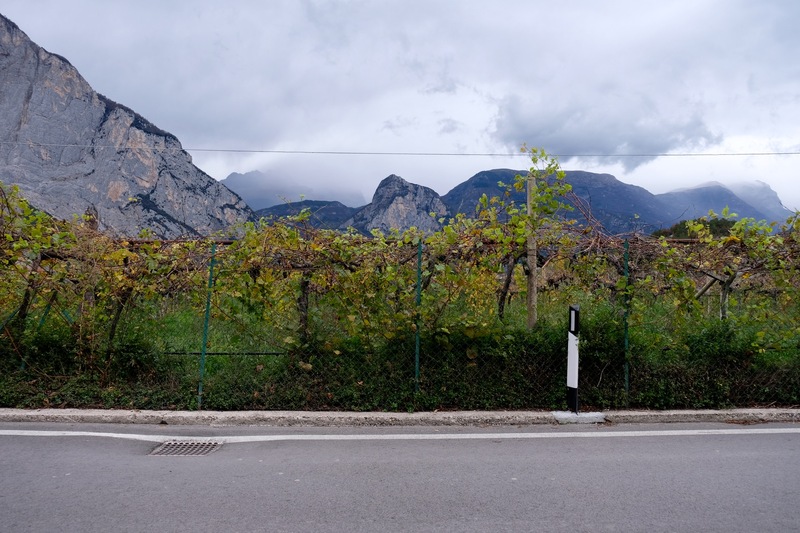 While we didn’t partake this trip, I would recommend renting a mountain bike and hitting the numerous trails around Riva del Garda. As I mentioned before this is a sporty-person’s paradise and in the summer, you can enjoy the addition of numerous water spots like wind-surfing. We stuck to mainly strolling along the attractive promenade, facing the water that turns into a lovely glow come sunset. 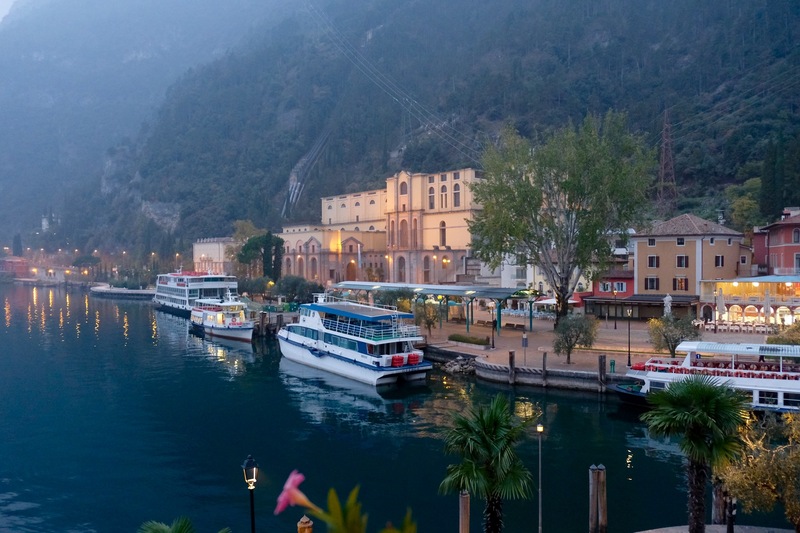 Keep in mind that you could also visit Limone sul Garda, technically located in Lombardy, but still very close to Riva. We did stop briefly but I found it to be a very pretty, and very touristy town without the amount of depth I saw in Riva, Arco or Torbole. More on that in another post. 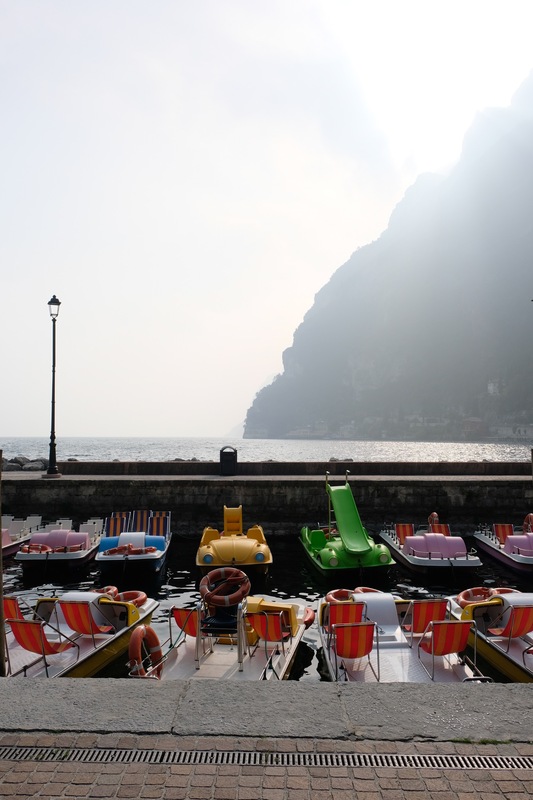 That night, it was another short car ride to the a pretty ex-fishing village Torbole del Garda, known as a center for sailing and windsurfing schools that pepper the waterfront. Torbole inspired people far and wide, including the Poet Goethe who described its winds as one of the wonders of nature and a breathtaking sight. 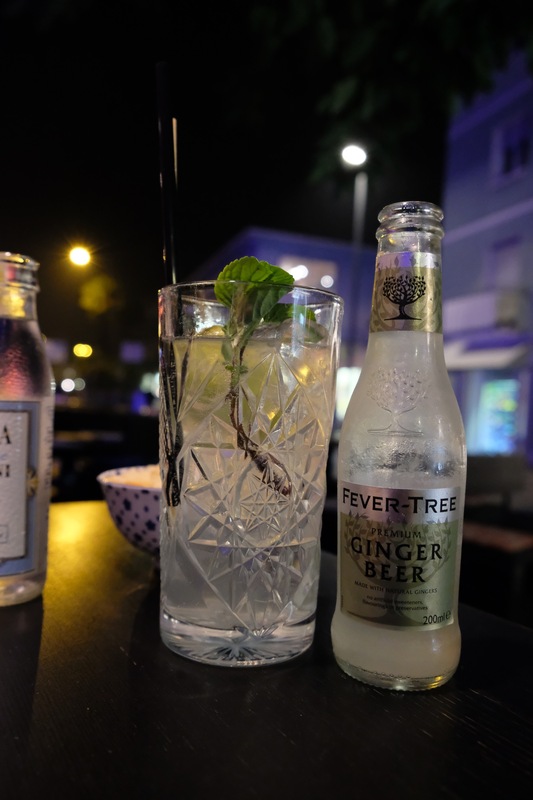 It seems appropriate to find a bar called Wind, as so we stopped for gin & tonics and this very popular watering hole before heading to Aqua Restaurant & Lounge Cafe on the waterfront. This was one of the nicest meals of our trip and I would highly recommend a visit here for a taste from the lake as part of their special tasting menu which is a great deal at 42€. 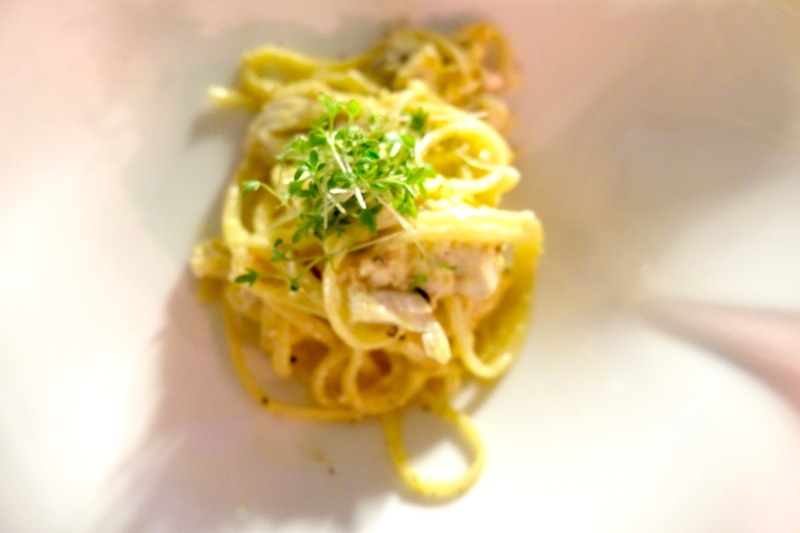 Memorable dishes as part of the menu include the addictive bavette (pasta) carbonara with pike and smoked tench. I could eat that for breakfast, lunch and dinner and be sure to ask them to pair your meal with a locally-produced wine. Our last day in Riva was a pretty special one in that it included a lovely lunch in the countryside. 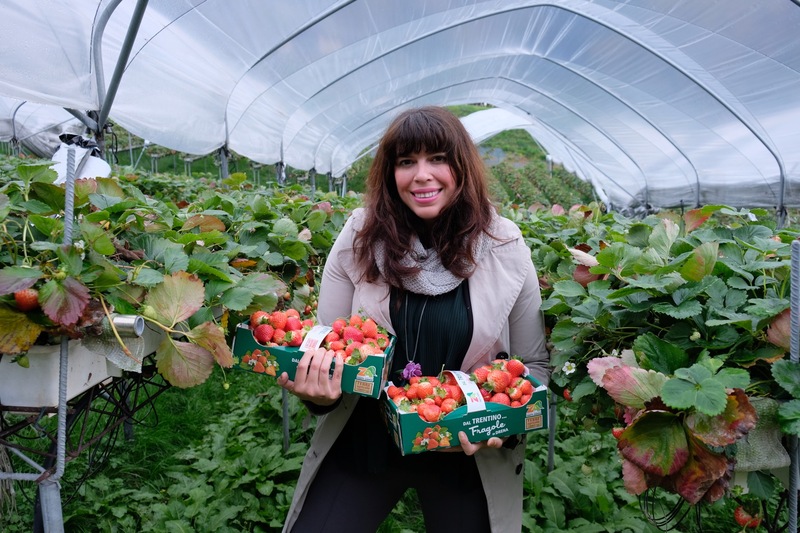 We spent the morning sleeping in and grabbing coffee in the center before heading to Drena in the hills for a strawberry-picking (the last of the season) with a berry-themed menu by a local restaurant. The area of Drena is well-known for the quality of the chestnuts and I could tell this was going to be one heck of a foodie sendoff as soon as I saw the amount of excited people (and the aperitivo buffet) ready to pick strawberries before our meal. We picked as many as our cardboard cases could handle and after the lunch were able to take these home. Needless to say, I ate strawberries for a good two weeks after that. The menu itself was a smorgasbord of interesting dishes, black-stuffed ravioli with wild meats and strawberries, risotto and of course strawberries and cream for dessert. Service was slow and it seemed like they were still getting the “hang” of these events but I didn’t care as it was a really fun and lovely lunch with interesting people. Highly recommend making a delicious detour here as this is just the kind of place I love to bring family and friends. We followed up lunch with a visit to a boutique family winery “Gino Pedrotti” for a taste of their sweet local Vino Santo (not to be confused with Vin Santo) made lovingly with Nosiola grapes in what is known as “the valley of the lakes.” This is a 100 year old business that relies on the entirely unique microclimate of the lower Valle dei Laghi that makes the grapes planted here mighty special. The winery is adjacent to a small, and quite cozy bar where visitors can taste their wines paired with locally cured meats and cheeses. It was a majestic experience as Giuseppe and his family are wonderfully warm people that are apt to share their love for the wines of this area. 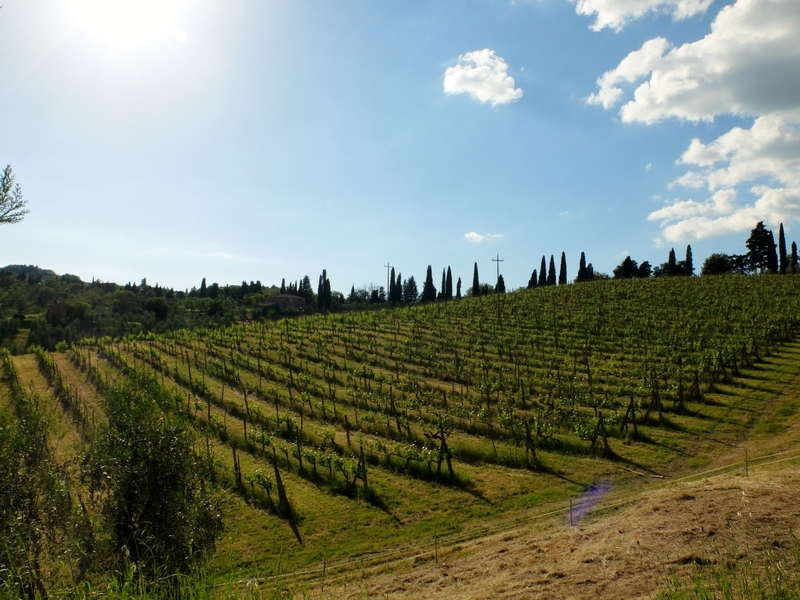 Their wine is biodynamic and adheres to the changing whims of nature, something the tranquil Giuseppe is quite passionate about. We tried everything from their spectacular Nosiola, Schiava Nera and of course the before mentioned Vino Santo. In fact, Giuseppe could have kept talking and pouring we eventually needed to tell him to stop as we had a long drive ahead of us. That was a shame though, you have no idea how much I wish we could have spent the night. However I will make it my mission to go back to spend more time in this bewitching area of Trentino. You can bet your life on it. A special thanks to Daniele and Garda Trentino for sponsoring this trip and helping us discover this beautiful area of Italy. Hotel Sole, III Novembre, 35, 38066 Riva del Garda. 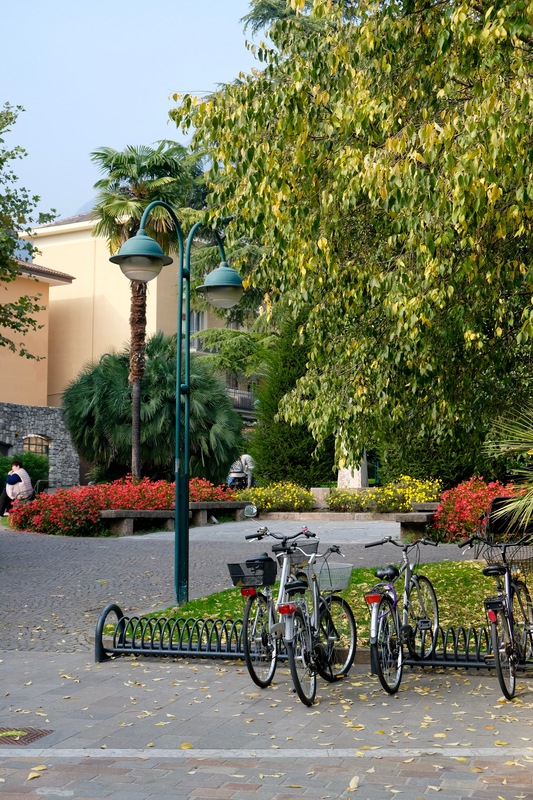 This pretty hotel is located in the center of Riva del Garda along the water (ask for a waterfront room), they offer free bikes, free Wi-Fi (that actually works) and a free spa center. While it certainly wasn’t super fancy, I found the hotel comfortable and the views absolutely stellar. Breakfast was good with a range of options and a fresh juicer. Hotel rooms start around 176-200€ per night. Agraria Riva del Garda Cantina & Frantoio, Via S. Nazzaro, 4, Riva del Garda, Italy. A historic business in the area of the “Alto Garda” producing high quality extra virgin olive oil. 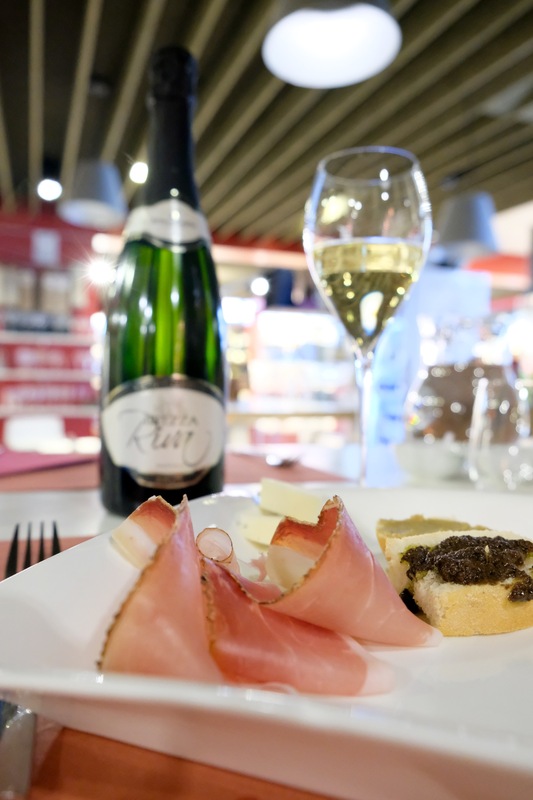 DOP Garda Trentino and organic varieties a long with Trentodoc sparkling wines along with red and white wines and other local delicacies. They also offer tastings and lessons. Open all year round. Mon-Sat 8:30-12:30/3-7pm. Sunday 8.30 – 12.30. Reserve your tasting by emailing communication@agririva.it. OmKafè, Via Aldo Moro, 7, Arco, Italy. 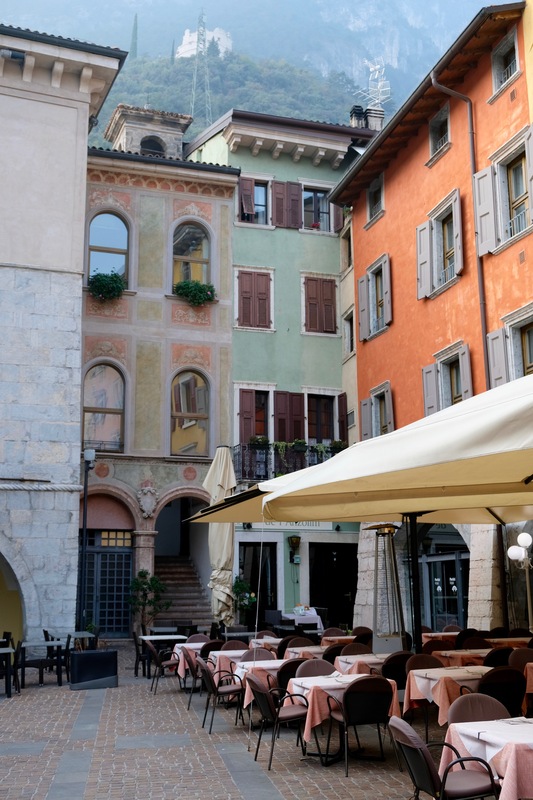 This coffee shop and roasters has been a family-owned business for over 70 years in the Riva del Garda area of Trentino serving up artisanal brew to seriously loyal customers. 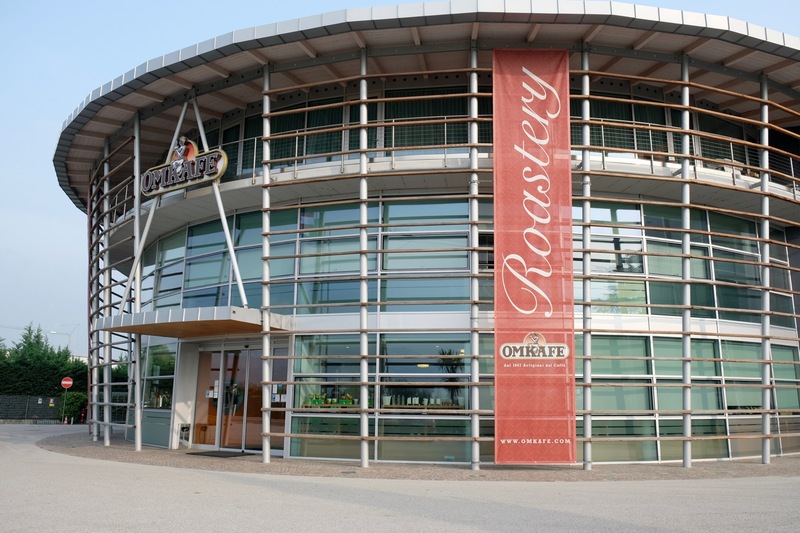 I highly recommend making this stop on any trip to the area also to see their small but curated coffee museum and leave time for a stroll through the lovely gift shop. Lago di Tenno (Lake Tenno). APT Garda Trentino, Largo Medaglie d’Oro al Valor Militare, 5, 38066 Riva del Garda, Italy. 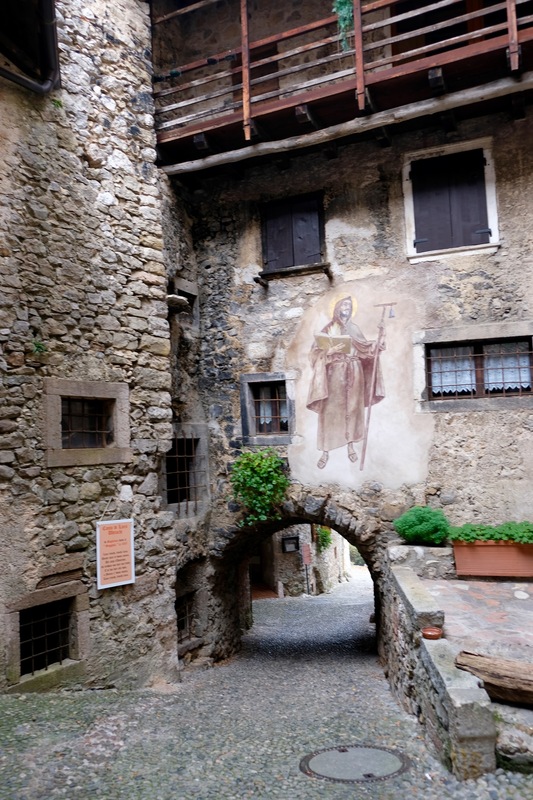 A 40 minute drive from Riva del Garda, worth doing in the morning and combined with a visit to the small village of Frapporta, the medieval church of Canale and the San Martino archaeological site. 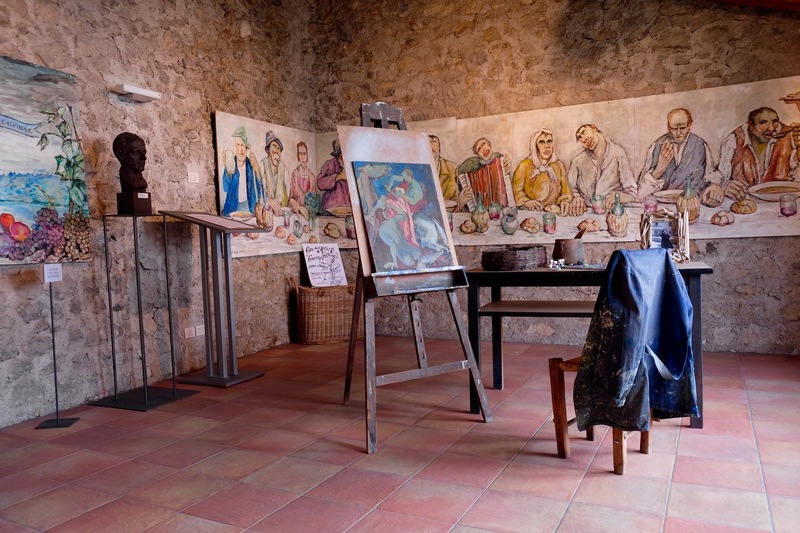 Canale di Tenno, a charming medieval 13th century village and home to a lovely house museum called “Casa degli Artisti,” Worth visiting after a trip to the lake either on foot (30 minutes walking) or by car. Olio Cru, Via Aldo Moro 1, Arco, Italy 38062. 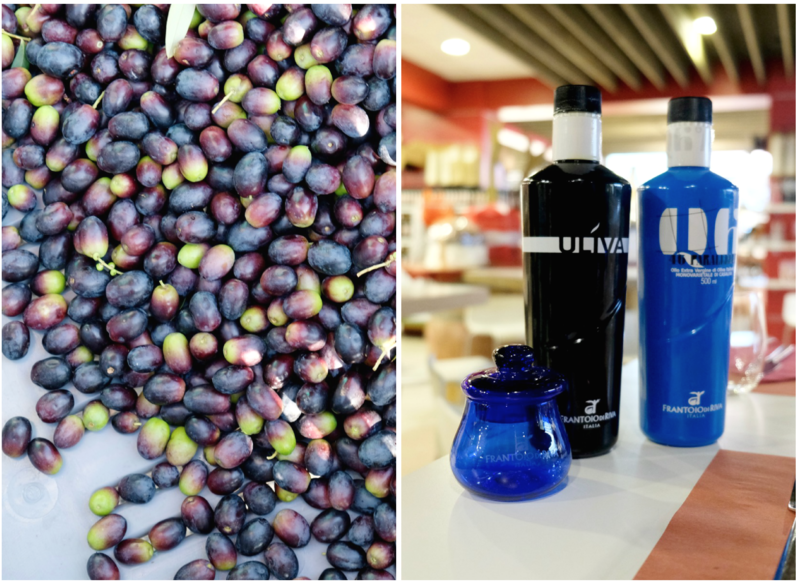 Yet another wonderful place to stop for extra-virgin olive oil enthusiasts who want to visit one of the best producers in the region. Gino Pedretti, Via Cavedine, 60, 38074 Dro TN. 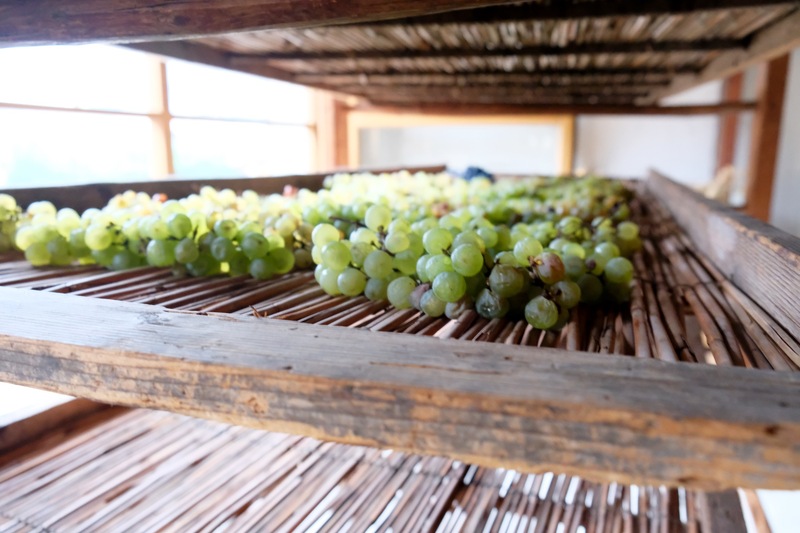 A family-owned winery. Stop for a sip of their sweet local Vino Santo (not to be confused with Vin Santo) Made lovingly with Nosiola grapes in the valley of the lakes. Ristorante Aqua, Via Lungolago Conca d’Oro, 11, Torbole. This lake-side restaurant is ideal for a fancier date-night out that is perfectly paired with a “before” aperitivo stop at nearby Wave bar. 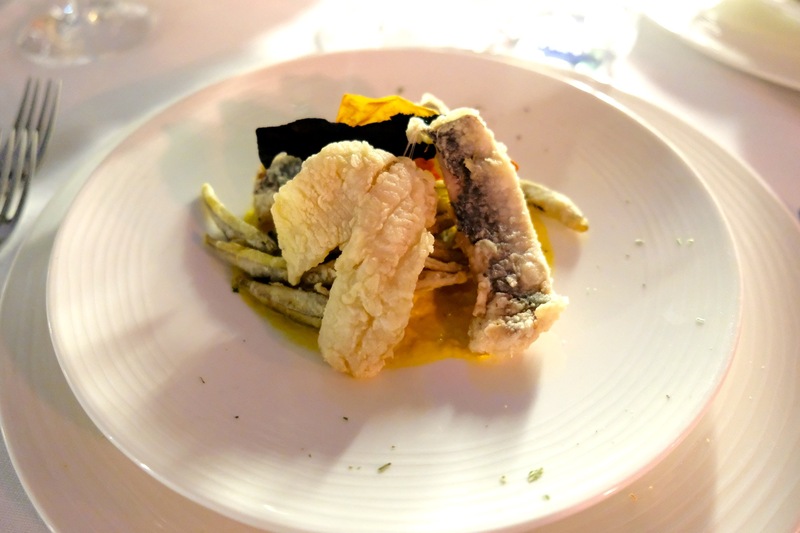 To truly get the best out of the restaurant, indulge in their “menu di degustazione pesce di lago” (tasting menu from the lake) where for 42 euros you can dive into local deliciousness in creatively perfected platters such as le bavette felicetti alla carbonara di lago con ragù di luccio e inca affumicata (a seafood carbonara with smoked tench, my favorite!). I still dream about this dinner. Acetaia del Balsamic Trentino, Strada di San Zeno, 2, Cologna di Tenno. This modern farm and restaurant (and it is part of a bed & breakfast) is not to be missed at products are sourced as closely to kilometer zero as heavenly possible (a must try is their Aceto Balsamico Trentino, olive oil, wines (Cabernet, Merlot, Rebo, Gewürztraminer and the local favorite “carne salada” . These guys are the real deal and the terrace overlooks a beautiful panorama, rain or shine. Open 10am-10pm. Guided visits available daily from 6-7pm (make a reservation in advanced). 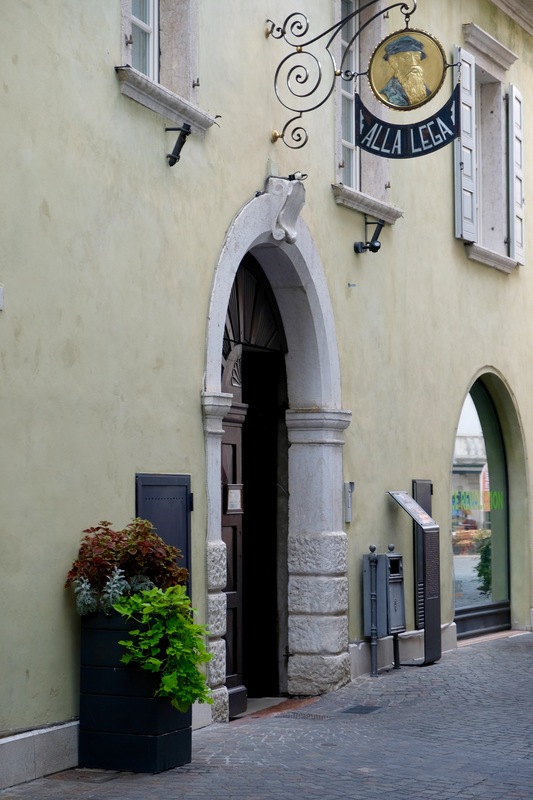 Ristorante Alla Lega, Via Vergolano, 8, 38062 Arco TN. Old school, keeping it real restaurant located in the center of town. You’ll want to book a spot as this place gets crowded with locals during lunchtime on the weekend. Don’t miss dessert! Local Restaurant “La Casina” at La Casina nr.1, 38074 Drena TN. This place is immersed in a chestnut grove and offers tasty, seasonal menus inspired from the land. Make sure to email them regarding any special/event menus as they typically are a lot of fun! 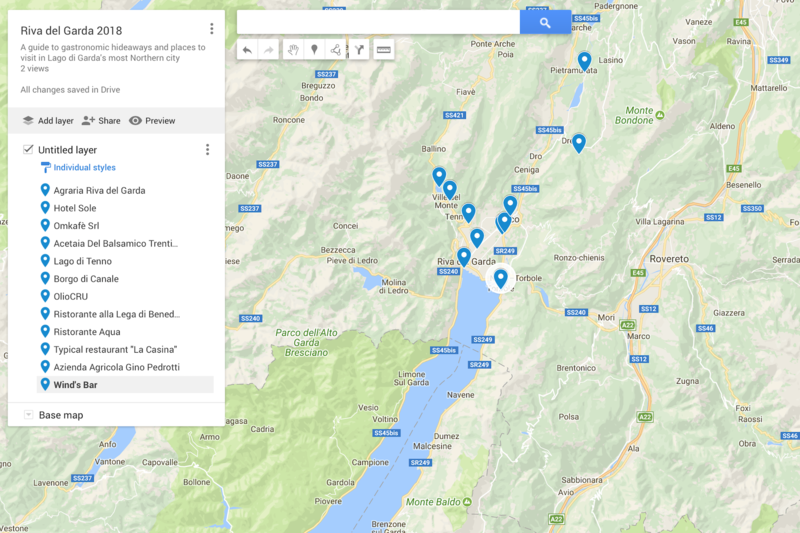 Click this link to save my personalized google map of where to go in the Lago Trentino area to your phone or desktop. Additionally I highly recommend checking out the official tourism board’s Garda Trentino website, an invaluable resource to discovering the region and the sponsors of this trip to help promote the region. Oh, thank you, Georgette, for this visit to Lago di Garda! 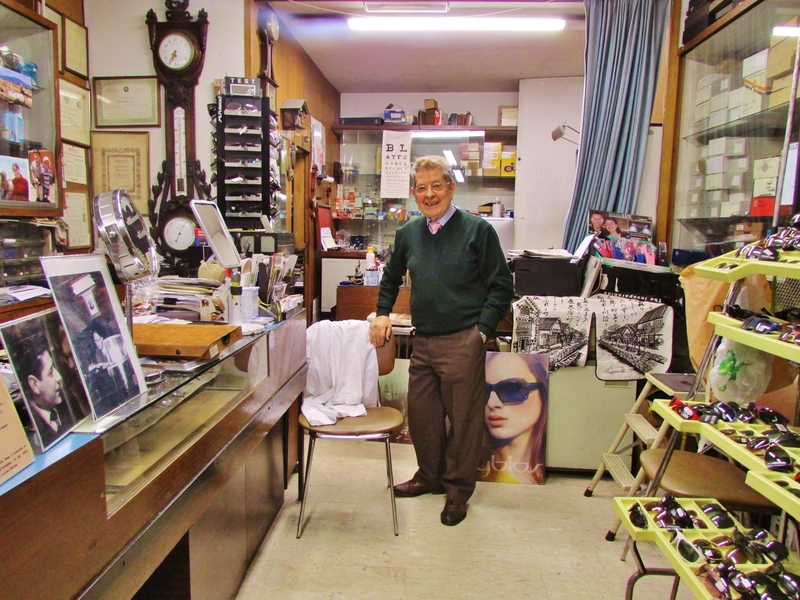 My grandfather was born in Tuscany and my grandmother in the village of Sermerio, in the mountains above Garda. I have not visited it for many years. You have inspired me to return. You are very welcome Elizabeth. This was hands down one of my favorite trips of the entire year and I dream about going back for round two. 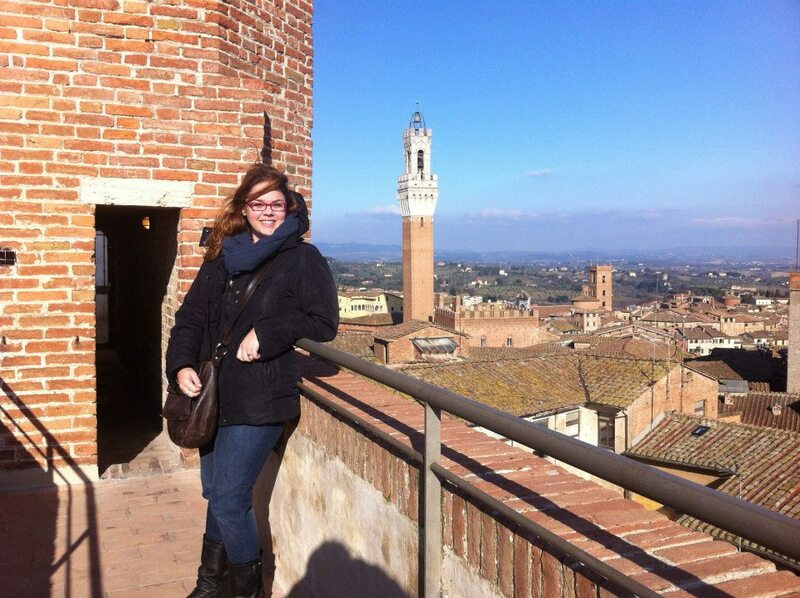 I hope you do get to visit your grandparent’s hometown, this area of Italy is quite special. This looks like a lovely destination. Do you think it would be fully functioning (hikes, outdoor eateries) and moderately warm by the second half of March, or not yet? Ciao Anna! 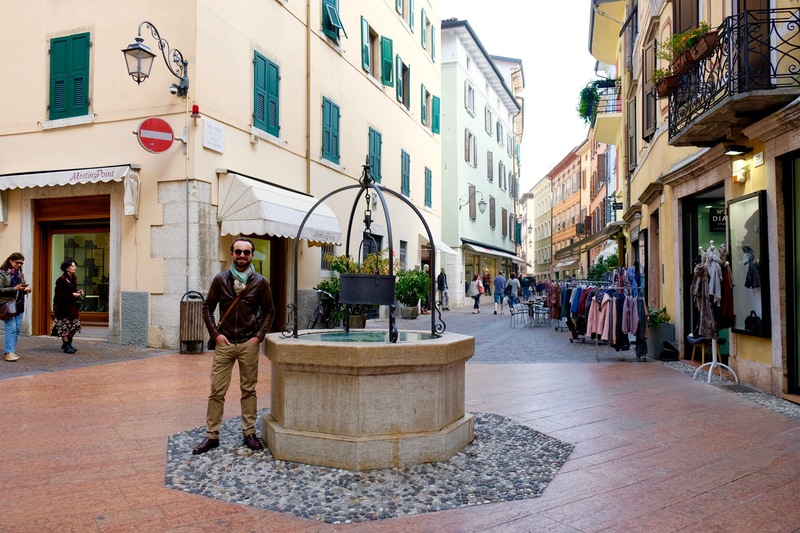 It is quite a lovely destination indeed and I applaud them for wanting to bring awareness to such a small, treasure of a place most people miss when they visit Lago di Garda. I absolutely think march would be a fabulous month to visit. It’s a mild climate kind of place and they are die hard outdoor activity enthusiasts here.